We put in visibility and value the traders and restorers who work with Éleveur et engagé. 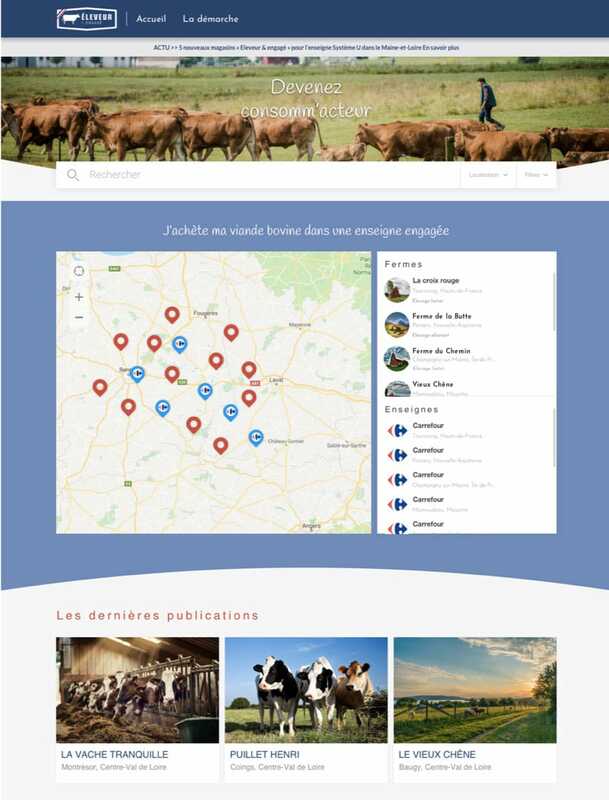 Éleveurs et engagé producers publish information for consumers. Dynamic mapping of your network to inform the consumer. 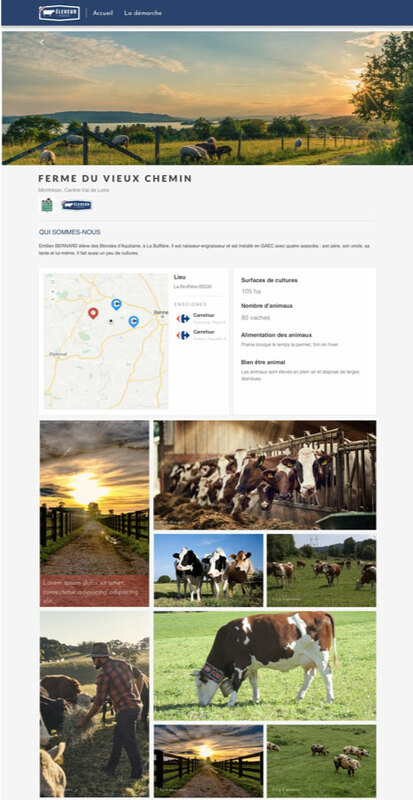 Thanks to our tool, you can connect our system to your website. 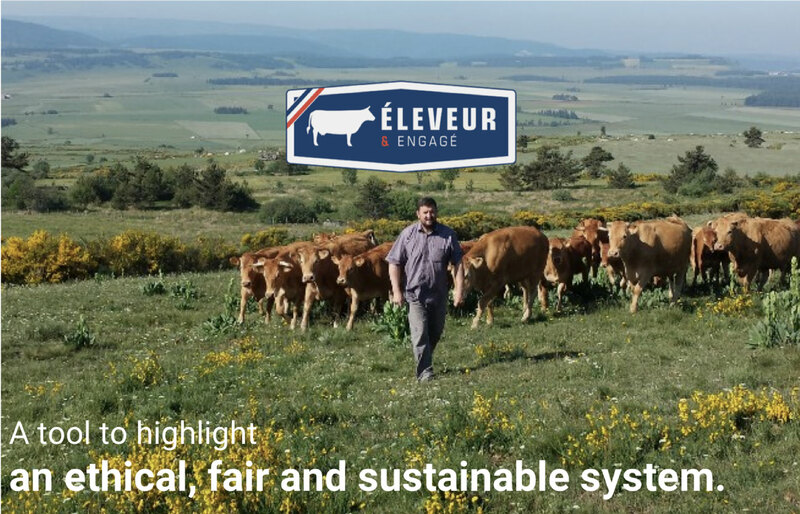 In this way, you will have the opportunity to communicate on the traceability of your products via a dynamic mapping grouping producers and associated outlets. Presentation of the farms that supply each point of sale. 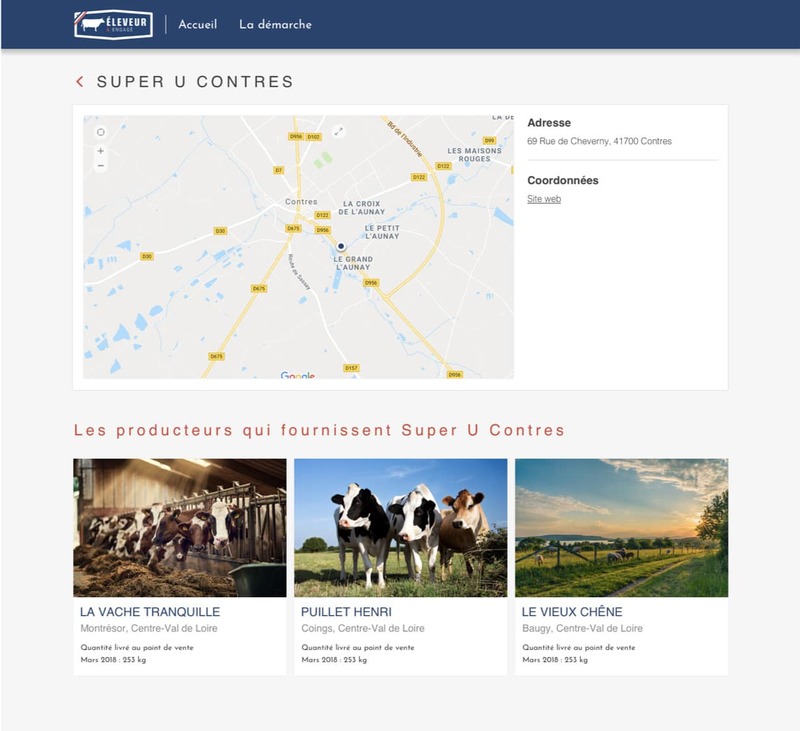 Present the farm business card to consumers by displaying on your website all the data relating to the production or the raising animals method. One page for each point of sale with the producers who feed them. Display on your website the retail outlets that you provide, the consumer will have the vision on the entire production chain: from the producer to the point of sale where he will find the product.